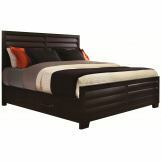 Sable finish on ash veneers and select solids combined with leather accents and double needle stiching makes the Bed Bench from the Tangerine 330 Collection by Pulaski Furniture transitional in style. Bed Bench features functional storage drawers, open spaces, and tasteful hardware that serves as jewelry. 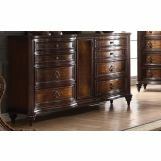 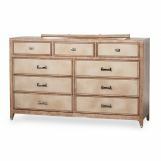 All drawers are designed with full-extension ball bearing side glides. 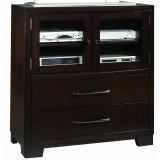 This allows you to open the drawer completely and have easy access to all its contents. The Tangerine 330 Bedroom Collection combines extraordinary functionality and design at a surprisingly affordable price.